Need a weekend project? How does building your first Android app sound? Through a free “mini” course over at the DL Deals shop, you can breeze through the basic steps needed to be on your way. 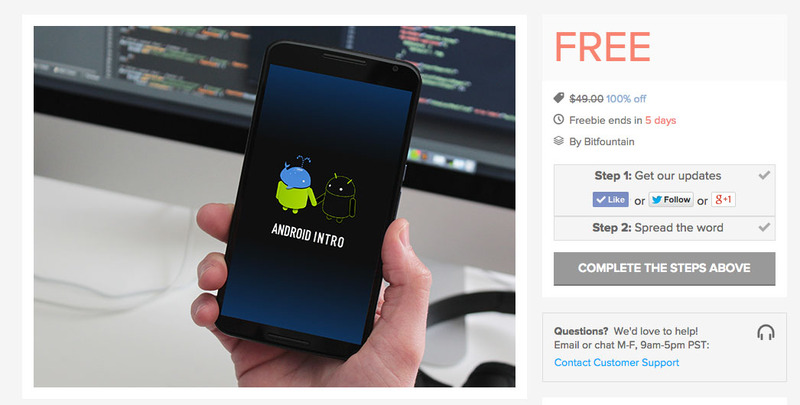 The course includes 9 lectures, plus a challenge activity, with topics covering the new Android Studio and a basic introduction to Java. In order to grab the deal for free, all you need to do is follow a couple of simple social network-related steps at the link below.